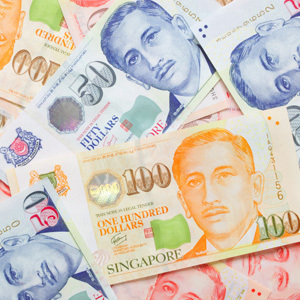 Singapore Company Registration specialists Rikvin supports SPRING Singapore’s latest move to enhance enterprise-level funding for small to medium size enterprises (SMEs) via the Capability Development Programme (CDP). The enhanced Capability Development Programme, which supports initiatives such as human capital development, new technology adoption, product innovation, service quality as well as productivity and branding, is effective from 1 April and over the next three years (until 31 March 2015). 2. bump up its funding by an additional S$200 million. Analysis by Rikvin shows that the 20% increase in subsidy of qualifying CDP costs will significantly help cash-strapped SMEs mitigate rising business costs and have the opportunity to build up their capabilities and restructure their business for growth amidst a tight domestic labor situation. The increased funding will also benefit 1800 more SME projects so that they can sustain their growth momentum. Furthermore, the Capability Development Programme dovetails with the Productivity and Innovation Credit Scheme (PIC Scheme). While the enhanced CDP significantly subsidizes qualifying expenses that help Singapore companies strengthen their capabilities, the PIC scheme offers significant tax savings or cash payouts to enterprises that are committed to moving up the productivity and innovation value chain. Affirming the view, Mr. Satish Bakhda, Head of Rikvin’s Operations, said, “The enhanced CDP support along with the tax incentives offered by the PIC Scheme will help ease the pain faced by small enterprises in the short term. In the nearer to mid-term, we anticipate that these measures help entrepreneurs to see Singapore as the ideal launching pad for their business and motivate more of them to form a Singapore company.